Coffs Beach Houses specialises in the holiday letting of superb quality houses and town houses in the Coffs Harbour area. Our beach houses and apartments are located in a number of differant locations around Coffs Harbour, Korora & Sapphire (surrounding suburbs of Coffs). The address listed and location pinpointed on the map is the reception and key collection address. This is where you will need to check in however this is not necessarily the location of your property. All accommodation is fully self contained and just a short walk from the beach. A holiday house can make a great alternative for those wanting a bit more space to stretch out or just some distance from the kids. 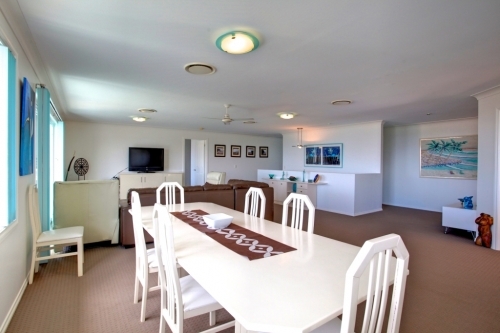 Coffs Beach Houses is suited to all kinds of holiday makers including couples, large families, friendly get togethers, business travellers or those of you who like nothing but the finest accommodation. For those of you who can't leave home without the beloved family pet, you are well catered for at Coffs Beach Houses. We accept most types of pets in some houses for a small surcharge. You must contact us by phone or email prior to making any booking arrangements with pets as only certain properties are pet friendly.